And some comparable rock art from other places. 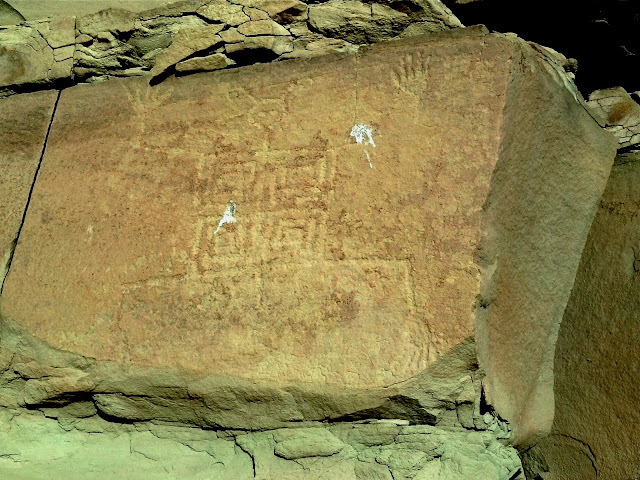 It wasn't all disasters on our trip.Jackson took us to the most remarkable petroglyph site I have seen since Tamgaly, north of Almaty in Kazakhstan, and quite different in subjects and execution. This sampling should give you an idea..
Jackson gives it scale. 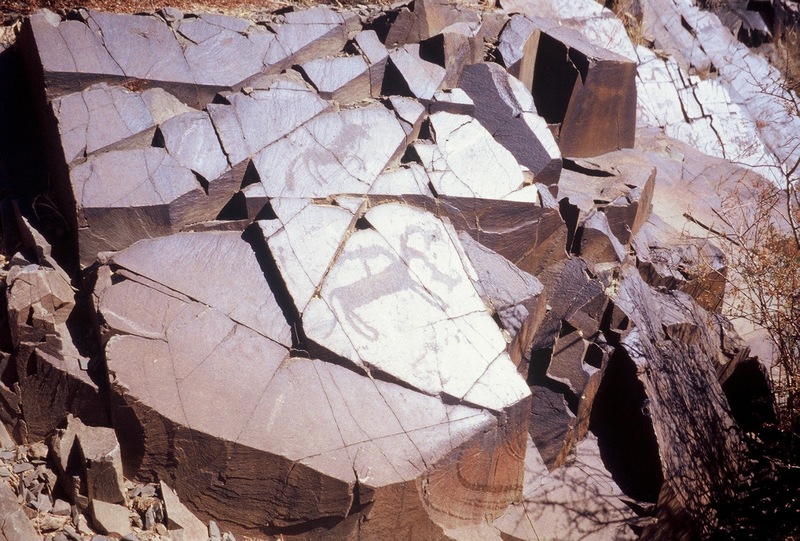 Many of the figures here are so-called shamanic designs, circles and spirals, though many doubt this interpretation including Guthrie in The Nature of Paleolithic Art. Many of the figures represent mythological animals rather than real ones. In Tamgaly, about six different cultures form a palimpsest; here, time is represented by this figure of a miner, probably from the 1800s. The oldest figures in Tamgaly are older than anything here; the "Archaic", realistic animals, like this figure from my forthcoming book, showing the old hunting team of birds, dog, and horse, may be as old as 6000 years. The 3D "feather "effect is nothing I ever saw before, either in New Mexico or in Asia. Same happens with Bald Eagles here.